I'm really excited that today is the first post for the Warbreaker readalong hosted by Amanda and Naithin. 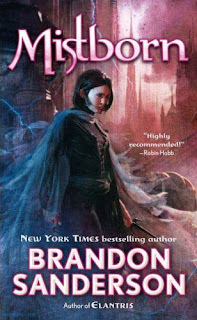 I joined in on the readalong for Sanderson's Mistborn a little belatedly, and since I loved the book, I decided more Sanderson was just what I needed (thanks Amanda and Naithin, for reading my mind). I ended up downloading a copy of Sanderson's novel to my Nook, Homer, since he has been feeling a bit neglected. I love that the edition I downloaded is annotated, and while I haven't really dived into the annotations yet, I foresee lots of geeking out in the future. Anyway, Amanda sent out questions for this week, so here are my thoughts! (And while I don't purposefully spoil anything, read at your own risk). This is only my second title by Sanderson, but I have already come to expect a lot from him. His world-building is simply superb. Just like Mistborn, the world has a distinct feel and tone. I was drawn into it from the first page, and I was absorbed in the smallest details from the start. One thing that I do want to mention is that I found myself drawn into the story much quicker than with Mistborn. For that title, it took me about 50-60 pages to get a firm hold on Sanderson’s style and the events in the novel. That doesn’t seem to be the case for this one (perhaps because it is a standalone title, whereas Mistborn was setting up a trilogy?). I am also intrigued by the storylines taking place. We’ve already met a number of characters, and there seems to be 4 parallel stories taking place with four main characters: Vasher, Siri, Lightsong, and Vivenna. Siri and Vivenna are the sisters (Siri sent in her sister’s place to marry the God King), and right now, I am partial to their storylines. We’ve only seen a little from Vasher, but I’m sure he will pop up again as we continue. As for Lightsong...at first I was a little irritated with him, but the last two chapters intrigued me. The idea of a God discontented with his role and pushing against it...I’m curious to see where Sanderson takes it. I have to commend Sanderson, again, for creating a lovely system of magic. I love that it is focused around colors, and the smallest touches of this system make me smile (the hair changes, etc). I am hoping we learn a little more about it, as well as more about the Returneds (I have to say that I REALLY got into that conversation between Lightsong and his priest in the last chapter). I think that Lightsong is right to question his role as a “God.” It wasn’t as if any of the Returneds really make a conscious decision to take on that role, but were forced into it. Lightsong seems to hate it more than he enjoys it-the constant petitions, rules, and demands on his time irritate him (obviously). But I think that I understood more of the system of their divinity during that last conversation he had-about those who were Returneds coming back for a reason-to issue a warning or to save an individual’s life. I am hoping we learn more about that as the story progresses. As for the religion...well, religions have been formed out of need, in a historical sense. Gods serve to guide and help humanity through all aspects of life...so I think it would be odd for a whole society to believe in nothing as opposed to a faulty system of Gods. As for whether the Returneds should be seen and exalted as Gods? I’m not sure yet. I want to know more about their roles and how others see them (Siri and Vivenna mainly). 3. The God King didn't turn out to be the way he's presented and thought of in this world. any ideas on what his role will be in this story? We have only seen the God King through Siri’s eyes as she waits for him to use her as his wife, so he hasn’t really developed as a character. However, I don’t think the God King is what the other Gods, priests, or people think he is. Obviously, there is a story there and we haven’t heard what it is just yet. I have a feeling we’re going to learn more about him soon, and what his real role in the kingdom is. I’m sensing that he doesn’t have the power everyone thinks he does, or, if he does have power, he refuses to use it the way others want him to. But who knows...knowing what I do of Sanderson, it will all be a calculated surprise. 4. The title - Warbreaker - what do you think it might refer to? Matt and I arrived home about an hour ago from our excursion down to Indiana for the Indianapolis 500. Overall it was a great weekend of family and friends. We ate far too much good food, and I drank far too much at dinner on Saturday night. :) But it is good to be home and away from the heat (seriously, it was SO HOT. About 98 degrees in the air, and the track temperature was 130...it was HOT). Thankfully, we had a good breeze during the race and remembered to reapply sunscreen a dozen times, so we all escaped free of sunburn. Anyway, now that we're happily home after a long drive this morning, I'm taking advantage of our air conditioning and the snuggles from the cats (they missed us). I have a bunch of school stuff to do today-including finishing a set of essays. I'm not really looking forward to it, but considering I had a fun weekend, I guess I can deal with it. In reading news, I haven't made a ton of progress on any of the books I should be reading. I've been so preoccupied that I've been craving some mindless reading. So, I caved and downloaded Fifty Shades of Grey last week. And while they writing is awful and the story not that compelling, I wound up reading all three of them in the last few days. *shrugs* Perhaps that says how stressed I have been. In any case, now I am feeling guilty wasting time reading crap when I could have been making progress on other things. Meh. It happens, right? Well, that's all for now. I need to get started on these essays sooner rather than later. We still have three weeks left, so I can't slip into summer mode yet! With my seniors finishing yesterday, the 8 juniors remaining in my elective "Exploring Literature" class have been hounding me to let them watch movies for the rest of the year. Instead, we compromised on a project to take us through to June 15 (my last day of school). With about 3 1/2 weeks to work with, I didn't want to read the remaining novel that was designated for the class (Alas, Babylon. No, I haven't read it). And since some of them had already gone and read Catching Fire, that was out as well. So, we decided to do an independent novel project, with almost all of the work being done in class. I managed to get 8 laptops from the Media Center to use in the classroom each day, so that the students can post on a private forum in response to questions, prompts, etc about their novels. They're also being required to respond to each others' posts, so it should be a nice, interactive way to read their novels of choice-like mini book blogs! The requirements for their novels is that it needed to be something of a reasonable length. Since the writing and posting portion of the daily work will only take half the hour or so, they will be getting almost 30 minutes of reading time per class period. That's a lot! I also pointed out to them that we read The Hunger Games in three weeks, and Ender's Game in 3 1/2. Their books must be fiction and can be in any genre. We've read a pretty heavy science-fiction diet in class, so I am assuming they're going to branch out from there. The last few days will be spent creating a Photo Story using a program by the same name. The program allows you to integrate images, music, narration, etc to create a mini-movie. On the day of their final, we'll eat breakfast and watch everyone's reports on their books. :) It should be a wonderful day and a great way to end the year. I have also decided to participate with them. I very much believe in modeling for my students. I usually bring a book with me to school...even though I never read it, to show them that hey, I really DO read outside of school. I also update my back whiteboard with the titles and authors of books I am reading, or recommendations. I'm hoping that by the end of this, they all walk about with a few more books to read in the future, and the knowledge that no matter how old you get, reading and exploring literature is important. I used to read a lot of fantasy. And by "used to," I mean before I took on my 250 Project list and started by exploration of the classics. I read fantasy novels all the time, and they made up a good chunk of my literary diet. And while I liked other genres, fantasy has always been a favorite of mine. There is something about the world-building that gets me every darn time. But in all that fantasy reading, I never stumbled on Brandon Sanderson. So when Amanda was posting about a readalong for the Mistborn trilogy, I read with anticipation. And when she finished and loved it, I decided to join in. I read the first book, appropriately titled Mistborn in just a couple days. That should tell you something since the book was 650 pages. Mistborn is everything I love about epic high fantasy. The world-building is absolutely fantastic, the characters well-developed, and the plot gripping. There is something to be said about a book that keeps you guessing and turning the pages. I also loved that the fantasy elements were well-developed and explained. I think that might be why so many are turned off by this kind of high fantasy. I mean, as a reader, you do have to suspend some level of belief when reading a work like this. A bad fantasy author doesn't let you suspend that belief. They don't make you care about their characters, or truly understand their world. A good fantasy writer makes you care. And while you know the world is fake and that the magic isn't a possibility, the reader still sees how the world functions in its own place. I love that. Mistborn does all of these things. It explains what needs to be explained as it becomes necessary. The magic systems are explained to the reader when necessary. Young Vin, the female protagonist, is a great catalyst for this knowledge. We learn the world through her own training, experiences, and mistakes. We also learn bits of lore, as necessary, from Sazed as we need to learn it. The characters as a whole are well-developed and likeable. Kelsier was a phenomenal herolike figure throughout the entire novel. He always kept me guessing up until the end. He pushed the others where they needed to be pushed, and held back the information that needed to be kept secret. He always surprised me, which is something I really loved. I also liked that while Kelsier was the hero for most of the book,I never really knew the truth of what he was doing until near the end. That gave me the chance to feel the desperation of the others when the plans didn't work out. And Vin. Vin might be one of my favorite female fantasy characters of all time. She changed and adapted slowly to becoming a part of the crew. Her reactions fit until she learned otherwise, her opinions and attitudes altered by the positive interactions she had with those around her. I loved that she barely spoke aloud in the beginning, but at the end, she couldn't stop. It was a great and powerful transformation-just plain superb character development. There are others, of course. Elend. I really enjoyed seeing what he really thought, and his turn around to the realization of how bad things were in his society. I'm curious to see how he changes in the next two books. I also loved the other members of the crew: Sazed, Marsh (!!!!!!! ), Ham....all of them so wonderfully developed that even when they disappeared for 50 pages and came back, I still felt like I knew them. "I represent that one thing you've never been able to kill, no matter how hard you try. I am hope." I've been in a whirlwind the last two days, and this is the first opportunity I've had to come and post my weekly post for the last week. That makes me a bit sad-that I don't even have ten minutes to post! Anyway, I've been working like crazy between both jobs (which is why I don't have any free time), as well as battling some crazy allergies and other obligations. We're supposed to go Matt's softball game in a little bit, but I am keeping my fingers crossed that it rains so I can stay home and get in a little reading. I feel like I haven't been reading all that much recently, but when I look at Goodreads, that opinion changes. Perhaps it's because I haven't finished any books recently? I did finish Mistborn by Brandon Sanderson on Saturday morning (to catch up for the readalong), but I haven't finished any of the other 10 books I have started. I told Matt I felt pressured to get things done, so he told me not to start anything else until I finish what I need to. I suppose that makes perfect sense (even though I am starting another book in the next day or two for another readalong). My goal is to get the following finished by the end of May, so that I can switch focus to the Victorians for my event. 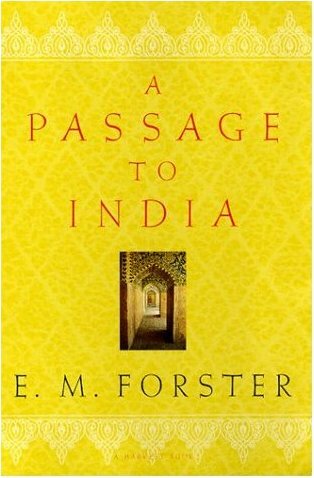 A Passage to India by E.M. Forster: I started this a couple weeks ago, and was getting really into it. I set it aside for no real reason and it has been sitting on an end table since. 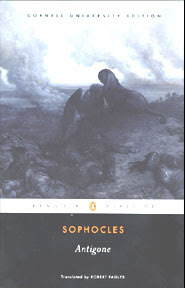 Oedipus Rex by Sophocles: I really have no excuse not to read this one, since I only have 40-50 pages left...I can knock that out in 30 minutes. The Voyage Out by Virginia Woolf: I started this one and got really into it before setting it on top of A Passage to India. Whoops. Song of Solomon by Toni Morrison: I only got about 20 pages in before getting pulled away by essays and grading, but this is one I really want to finish. I think if I can finish those 4 by the end of the month I'll be in good shape. I'm still reading through a massive collection of short stories, as well as chipping away at Clarissa and Nicholas Nickleby. Seeing as I only have a few minutes here or there, that is all I can do, right? Thankfully there are only 4 weeks of school left. Then I go back to working one job (days off! Woot!) and having some more free time. Anyway, one of the students was one who got a copy of The Book Thief from World Book Night. She already finished the book and was asking for more recommendations. I asked her what she usually liked and all she said was, "No vampires." That made me laugh. I ended up recommending a mix of things to her. Some of the YA titles I recommended were by John Green, Sarah Dessen, Carrie Ryan (zombies were okay), as well as some standalone titles (I told her to read Zusak's I am the Messenger as well). There were a few other YA titles I pushed, including one of my favorites, Sammy and Juliana in Hollywood by Ben Saenz. Then she asked for "grown-up" books...which is a whole other post I could go into. But she specifically wanted classics. 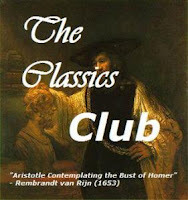 This led to other students chipping in about classics being boring, old, and not very exciting. So, I had to rack my brain for books I think she would like and that would be "teenager friendly." Now, I'm not saying that teenagers can' read or understand classics. Because I'm definitely NOT saying that. All I am saying is that some books are more accessible than others. I think she would have run away had I recommended War and Peace as a serious option. But I offered up these 5 titles as options, and promised I would think of more (keep in mind I kept some obvious ones off the list because they are part of our curriculum, or she had read them already). Silas Marner by George Eliot: She liked the sound of this one, and since it is a simpler story, I thought it might be a good bridge to some of Eliot's other works, as well as other Victorians (I also mentioned The Mill on the Floss because I love it so). O Pioneers! by Willa Cather: Again, I thought this would be a good bridge into some other great work by the same author. The Picture of Dorian Gray by Oscar Wilde: I firmly believe that this should be a book for a course. I think teens would really get into the story and the "horrid" part of Dorian. The Woman in White by Wilkie Collins: She asked for a mystery (not Sherlock Holmes) and this was the first one that popped into my head. I know I could have recommended others in the moment (the Brontes, hello? What was I thinking? ), but she caught me on the spot! Talk about pressure! But I thought you all might help me think of other "teenager friendly" classics. What would you recommend to a 15 or 16 year old who wanted to get their feet wet in classic literature? "For it is said that humans are never satisfied, that you give them one thing and they want something more. And this is said in disparagement, whereas it is one of the greatest talents the species has and one that has made it superior to animals that are satisfied with what they have." 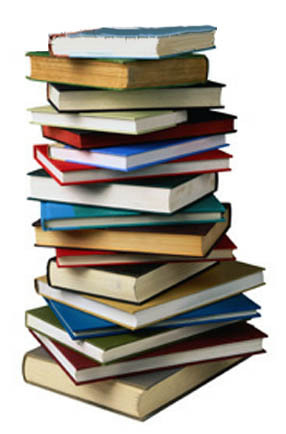 I am currently teaching a junior/senior elective literature course. So far they have read Kindred by Octavia Butler, The Hunger Games by Suzanne Collins, Ender's Game by Orson Scott Card, and The Pearl by John Steinbeck. My seniors are done on Tuesday, so we are in the middle of prepping for their final exam. Since I taught the first three books, I figured I might as well read Steinbeck's novella to help them prepare. Thankfully I had a copy on my shelf, so I dove in the other night, determined to finish (because apparently I can only start books recently, not finish them). When I told my students I was going to read the book so I could help them prepare better, they all told me, in varying ways, that the book was boring, stupid, and horrible. I was a little surprised, since most of them liked Of Mice and Men, which is part of the curriculum for the tenth grade classes. But, I know that sometimes you can like a book by an author and then hate another work. I dove in with that in mind, and tried to keep that perspective in mind as I flew through the 90 page book. 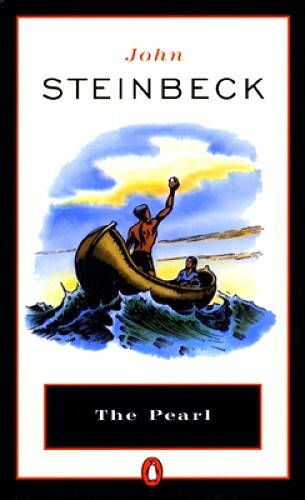 I think I am becoming more familiar with Steinbeck, but I was a bit taken aback by the tone in the book. The Pearl is a retelling of a Mexican folktale. The focus is on a couple, Kino and Juana, who are down on their luck and struggling. They find a beautiful pearl worth more money than they can dream of...and their world crumbles apart. The book is very much one of those "moral" books. And I know that is exactly why my high school students hated it. I personally can't stand books that preach too much, or that shove a lesson down your throat. That doesn't mean I don't seek those things out, because I do, but I don't like the lesson being flashed in front me on every other page. It drives me crazy. I've heard that a lot of people don't care for Steinbeck's shorter works. I haven't gotten to any of the big ones, like The Grapes of Wrath or East of Eden, so I can't really weigh in. Let me know where you fall on the Steinbeck fan-scale. I am actually late to the party on this one. Carl is hosting a readalong of the Mistborn trilogy. The group already finished the first title, but Amanda convinced me to join in on the fun. I really love high fantasy, and it is something I have been missing since I started my project. I just love the world-building, the grandeur, and the surprise of diving into a world built by a talented author. The reading schedule hasn't been announced for the second two books, but you can still join in! I started the first book a few nights ago, and let me tell you, it is a page turner for sure! 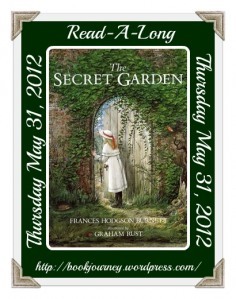 I have been wanting to read The Secret Garden since Jillian read it, so this was a perfect excuse. I didn't own a copy of the book until just recently, but I remember borrowing it from a friend to read on more than one occasion. I have already finished it, but my thoughts will be up at the end of the month. Again, you have plenty of time to join in, so please do! 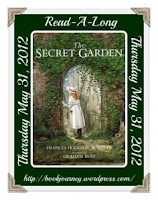 Sheila will be hosting a garden party on her blog on the 31st. And from what I hear, there will be lots of fun things, including giveaways, etc-all garden themed! 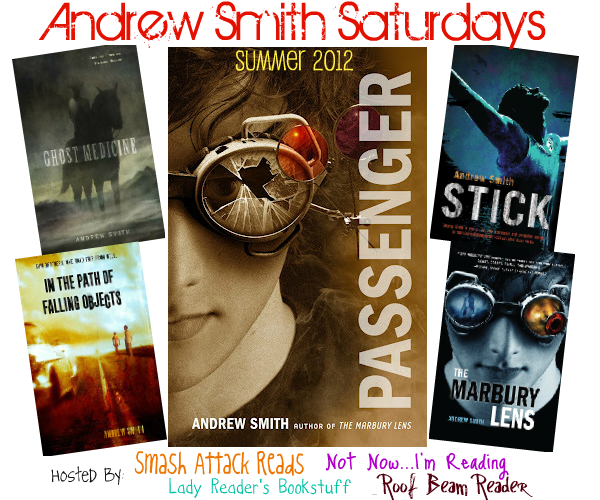 I also decided to join in on the Andrew Smith extravaganza hosted by Adam at Roof Beam Reader, Smash Attack Reads, Not Now...I'm Reading, and Lady Reader's Bookstuff (I linked to the sign-up on Adam's page, since that is where I signed up, but you can sign up at any of their blogs). 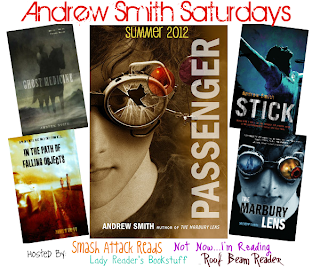 I haven't read anything by Andrew Smith, but since I respect Adam's opinion on books, I decided to go for it. I'm kind of at that point where I need something else to focus on beside my project, and this seems like a great way to learn more about an author I've never read before! Go and sign up if you're interested-it is going to be a great time, I'm sure of it! Then, Amanda convinced me to join yet another high fantasy readalong. :) This time it is a standalone novel, and it was a free ebook download. Count. Me. In. 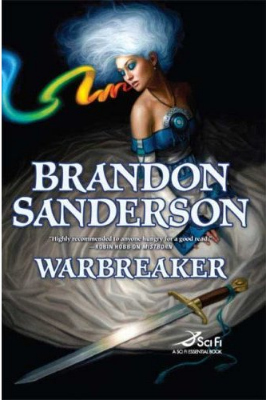 Inspired by the Mistborn readalong, Amanda and Naithin are hosting a readalong of Warbreaker. Amanda lovingly linked to the free ebook download on her sign up post, so go there if you are interested in reading a lovely high fantasy novel!! (you know you want to). So glad that I've got all of this information in one place. Let me know if you're joining in on any of these lovelies, OR if you know of any others I should join! Welcome to this week’s Top Ten Tuesday! The topic is an open one this week, so that we can pick our own topics and lists. I was struggling to find a subject to write about, but then I started poking around on my blog to look for future reads. I am still in the middle of my 250 Project list, but there are a LOT of classics that are still on my TBR. The following is a list of the ten titles I am most anxious to get to when I finish my 250…or they might be books I get to sooner than that. ;) We’ll have to see. 1. 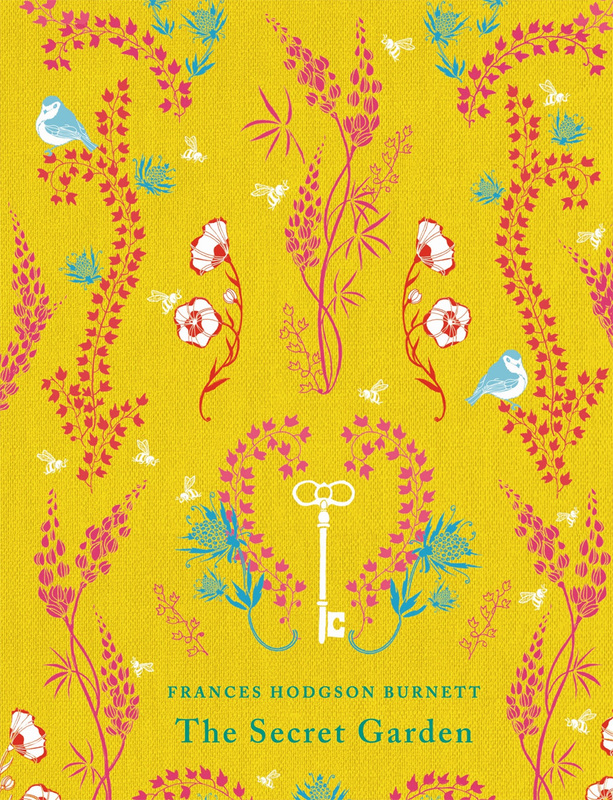 A Little Princess by Frances Hodgson Burnett: I just read The Secret Garden last week for the first time since I was a girl (loved it), but I’ve never read this title. I’m looking forward to discovering it as an adult (and…my new Puffin classic edition is on its way to my door RIGHT NOW). 2. 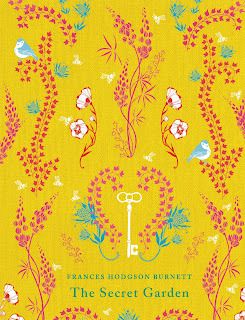 Agnes Grey by Anne Bronte: Anne never made it on to my 250 list, so I am curious to see what her writing is like. I have loved everything by Charlotte and Emily that I’ve read, so I am hoping for some more wonderful Bronte action. 3. Writings on Nature by John Muir: Like I have said many times before, I work at a park in the summer. I’m not really a super “outdoorsy” kind of a girl, but I love being at the park and learning more about nature. This title has been on my mental TBR for a long time, as Muir was an individual who helped the government protect land in the form of National Parks. The edition I’m craving has pictures and such as well. 4. East of Eden by John Steinbeck: I left this one off the 250 list in favor of Travels with Charley, but I kind of wish I’d kicked off another book in favor of this one. This seems to be a favorite among Steinbeck fans, so I want to see why! 5. A Backward Glance by Edith Wharton: I am a Wharton fanatic, so you shouldn’t be surprised to see this. This is her autobiography, and I have wanted to read it since I found it in a used bookstore. 6. 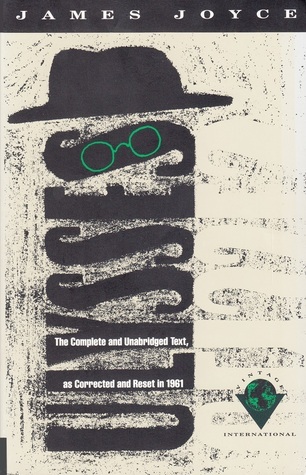 Nana by Emile Zola: I loved Zola’s Germinal since I read it early on in my project. It was the only title by him on my list, so I can’t wait to read more by him. I know that there are a few other bloggers who have been discovering Zola recently, so I am hoping to get to more of his work in the future. 7. Rasselas by Samuel Johnson: This will actually be a reread for me. I read Rasselas as well as many of Johnson’s other writings in college for a class (with the professor who had a Benjamin Franklin action figure), and I was really in love with them. Rasselas was my favorite of the collection, so I want to revisit and see if I still feel the same. 8. Diary of Anne Frank by Anne Frank: I am somewhat ashamed to say that I have never read this. I need to fix that. 9. Belinda by Maria Edgeworth: I read Castle Rackrent in college and fell in love with it. Since then, I have been meaning to get back to Edgeworth and her work, but simply haven’t had the time. This is yet another title that I want to read sooner, rather than later. What books are you most looking forward to reading in the future? I was lucky enough to be offered a copy of two of Shusaku Endo's novels. After I got the offer, I had to do a little research into who Endo was, since I had never heard of him. What I learned is that Endo is a modern-classic Japanese writer (he passed away in 1996), and he wrote a great deal about the conflicting ideals happening in Japan in the modern era. Many of his novels focus on Japan's role in the modern world after World War II. The first novel I read was Volcano. 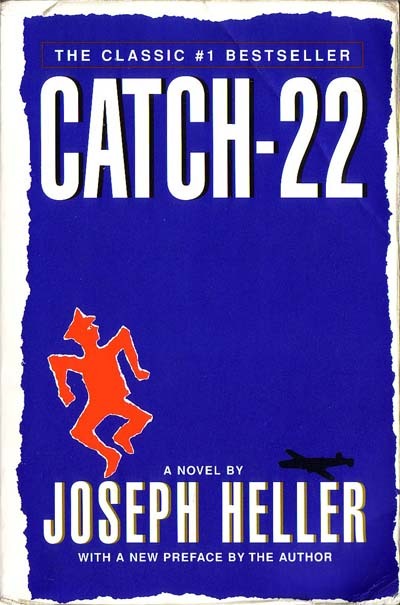 The novel was originally published in 1959 in Japanese. From what I read online, it was one of Endo's lesser-known works. The novel focuses on two characters-Jinpei Suda, a researcher on his city's volcano (he works for the Weather Bureau at the beginning of the novel), and Durand, an ex-French priest. Both men have fallen from their high statuses near the beginning of the novel. The novel alternates between their two stories until they run into each other on the side of the volcano. It is an interesting structure that I was at first put off by. When I began, I preferred Suda's storyline-finding it far more compelling than that of Durand. But then those roles flipped by the end, so I am sure that was Endo's doing. What really worked for me in this book was how the two characters were so similar, while being at very opposite sides of a belief system. Both are struggling with illness and their own encroaching deaths, but they tackle it in different ways. Suda seems to be off-put by how those around him really perceive him in his old age, while Durand doesn't care at all. He just does. The result is an interesting little novel that compares the lives and passions of men to a once "dormant" volcano. And, to be honest, while the story was compelling and interesting, I didn't really love it. At different points, I really hated the characters. It was hard to sympathize with either of them when I learned more about who they were and what they had done in their lives. But I could still appreciate Endo's ability to craft the story. It is dark, deep, and dormant, just like the volcano. I am curious to see what he does in the other work I was sent (When I Whistle-haven't started it yet) to see if it is more to my liking. Has anyone else read anything by Endo? Since this is a minor work, I'm curious about his better known titles! "A volcano resembles human life. In youth it gives rein to the passions, and burns with fire. It spurts out lava. But when it grows old, it assumes the burden of those past evil deeds. It turns deathly quiet as we now behold it. Nevertheless, a human being is not entirely like the volcano. When we grow old, will cast a backward glance upon our lives, becoming fully aware of our mistakes." Weekly Wrap-up for May 13, 2012: Work, Book Loot, and Book Indecision. A stack from just ONE of my classes earlier this week! I am in a really good place this week. I'm feeling like I am caught up with work and that I have some free time available! I was really behind on grading for a few weeks. I usually try to get things back to the kids within a day or two of collecting an assignment (except for essays. Those take a week or two). But somehow, I was WAY off. I blame trying to get a unit planned, etc for eating up my prep time. This past week, I was determined to get caught up. And catch up I did. The only things I brought home this weekend were an assignment I collected on Friday and the essays from my sophomores. That's an accomplishment! And I have vowed not to fall behind again! Covering a lunch break for an employee in the booth. I've also been working a few shifts at the park the last few weeks. I started back near the beginning of April, and spend both my weekend days there. It has been pretty low-key so far, as we don't get busy until June. But we've been working hard on finishing some maintenance issues, as well as prepping the trails for a busy season of 5K races, mountain bike races, and for our hikers and dog-walkers. We've also been training our new employees as they come back from college. Yesterday was especially exciting since we had some of our returners start up again. 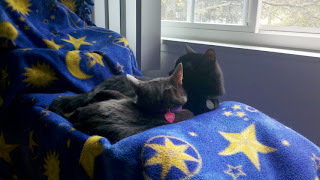 Sparty and Lily cuddling earlier this week in the sunshine. I really enjoy my time at the park. While sometimes it can get crazy busy, there is always something new going on. That's what I love about the job, even though it can drive me nuts sometimes! Presence by Arthur Miller: I just finished The Crucible with my sophomores and loved it (again), so when I saw this collection of Miller's short stories, I was intrigued. Insurgent by Veronica Roth: I read Divergent last year and was intrigued enough to see where the story would go. A Million Suns by Beth Revis: Again, I read the first book, Across the Universe, last year, and want to see where the story will head. 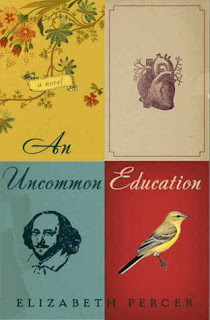 An Uncommon Education by Elizabeth Percer: I was given an ARC by the publisher, but I loved the book so much that I bought a finished copy (need to support authors I like!). Hopefully I can meet Percer one day to get it signed. The American Short Story: I've been reading a lot of short stories recently with my sophomores (for their American writer research project), and I want to keep on that trend. When I saw this huge collection for only $10 I had to grab it. Fever by Lauren DeStefano: I bought Wither last year solely for the cover (I know, I know), but haven't read it yet. I do plan on reading the trilogy, but might just wait till the third comes out. The Communist Manifesto and Other Revolutionary Writings: All I can say is that it looked interesting and while I have read parts of Marx's manifesto, I haven't read the whole thing. Island by Aldous Huxley: I've been looking for a copy since I read Brave New World, so when I saw it, I grabbed it. The Black Tulip by Alexandre Dumas: I call this my impulse buy. I eventually want to read it, but probably won't for a couple of years. What can I say, I wanted another classic to balance out all these YA titles! 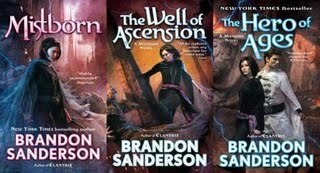 The Mistborn Trilogy by Brandon Sanderson: Amanda convinced me to join in on a readalong for the trilogy (everyone has already finished the first book, so I have to catch up) so, I needed the books. Right? Right. There might be a couple more I've acquired in recent months, but I'm not positive! Clarissa by Samuel Richardson: Started it in April, and have read about 100 pages since the beginning of this month...which, in Richardson length, is no progress at all. Nicholas Nickleby by Charles Dickens: Started this in February and set it aside in March and April to focus on school reading and other projects. I've read another 50 pages or so, but can't seem to get as into it as I was in February. The Voyage Out by Virginia Woolf: I was craving Woolf the other night, so I sat down and read 40 pages before yes, setting it aside. Mistborn by Brandon Sanderson: I started this one last night to catch up on the readalong. Game of Thrones by George R.R. Martin: I've been watching the series, and finally decided to take the first book to work at the park yesterday. American Short Stories: This goes along with my school stuff, since my students are reading a ton of different short stories. I've been so excited to discover new ones right along with them! Ender's Game by Orson Scott Card: Technically I'll be done with this one by Tuesday morning, since my class who is reading this will finish it by then, but hey, I'm reading it again with them! I know some of you do this...tell me, how do you balance reading so much at once? And for those of you who don't do this, what should I finish first? 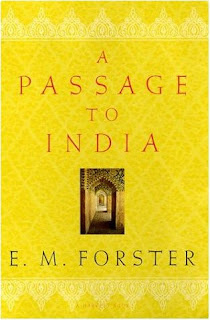 My first and only other experience with E.M. Forster took place when I read book #3 on my list, A Room with a View. I was blown away by the story and the writing, so I have been anxious to read the only other title by Forster on my 250 project list. Well folks, the time has come. For some reason, I had the hardest time locating a copy of A Passage to India. It was one of the books I always looked for at the book store, but I never could get my hands on a copy. Instead, I had slowly collected his other works, so I have them ready for future reading. Then, magically, there was a huge stack of this one on a display table, so I snatched up a pretty one and have been waiting to read it ever since. I think it is about time I get on that, so reading my second work by Forster is talking place right now. I'm not going to lie, I already started it, but I'm anxious to get a little deeper. It seems like an interesting work, and I like that it takes place in India-a far cry from the settings and locales in A Room with a View. I think it'll be a good comparison! I'm also hoping it'll help me tackle Kim, which I started last year and never got into (I often find that books with similar locales, themes, or in the same time period connect together in a way to help me get through ones I'm not that big a fan of). Thoughts on Forster? Love him, hate him? Plan to read any of his work? The only other time I have read Antigone was during a college literature course. In fact, it was during the very first literature course I took in school, and in the same class where my love affair with The Odyssey began. So, I have a soft spot for it, like I do all Greek literature. Reading Antigone brought me back to that place in college. I took that course in the spring of my freshman year, and our class was located at the Union building on campus. The Union was a musty older building, and our classroom was nestled way up on the top floor (amidst a few conference rooms). The room smelled, there were only two windows, and the rest of my classmates hated it as much as I did. But I can also remember going to class early and sitting in the Women's Lounge on the bottom floor to look over reading notes and refresh my memory. This was a class that met twice a week, and on Mondays, we had impromptus over our reading assignments. The professor would pick the best two and have us read them out loud to the rest of the class on Wednesdays. It was an intense experience, and I always freaked out about being chosen (I was chosen three times during the semester and yes, once was for Antigone). I would agonize over word choices in my impromptus so that if I was chosen, I would sound just as smart as my classmates. In any case, reading Antigone the other night brought back those memories. I read it out of the same Norton edition that I had for that class (I kept it), and seeing my post-its, notes, and highlighting reminded me of those college experiences. It also showed me how much I needed to learn, since I over highlighted (and in multiple colors, which drove me insane on this read). But some of my insights were funny and it was a great trip down memory lane for me. And I think I loved Antigone even more this time around. There is something so passionate and perfect about the play that you simply have to feel inspired and moved by the time you finish it. Antigone is a strong heroine, and one with strong convictions on what is right and wrong. I've always loved her character, well, since I read the play in the first place, and I am sometimes reminded of her need to do the right thing when I am also faced with a tough decision. To recap the basics of the play for those unfamiliar with the plot: Antigone is a daughter of Oedipus (from Oedipus Rex and Oedipus at Colonus). Before the play begins, there is a war, leaving her two brothers dead on opposites of the battlefield. The victor of the war, Creon, mandates that only one of her brother may be buried with full funeral rights. The other can rot on the battlefield and be food for scavengers and birds. Antigone goes against his wishes and buries her brother. This causes a division between her and her sister, Ismene. Antigone truly believes in her decision, and does it knowing she will be severely punished. Of course it all ends in some tragic way, as a lot of old Greek works do. But I just love Antigone. She sticks with her beliefs, even while knowing the consequences. She does what is right even when she will be prosecuted for doing so. There is something to be admired about that. It takes a strong individual to do the right thing in the face of adversity. That was what I loved about the play when I read it back as a college freshman. Back then, being an English major felt like the right choice. My dad always wanted me to get a degree in Engineering or business-something marketable. But I always resisted for a number of reasons. Mainly, that I am horrible at math. But also because I have always felt a huge draw to language and words. So even as a freshman in college, I knew that being in the English program was the right choice (he wasn't a big fan of my history degree either). And since graduating, I have often questioned my decision to go with my gut. You know, since I still don't have a permanent job. But reading Antigone last weekend? For some reason, it just affirmed that I was right...in some way. I followed my passions. And after all, I only have one life to live-I should live it by doing what I feel is right. And I have, so far. That seems like a lot to pull from a reading of an Ancient Greek play, but if this process has taught me anything, it is this: Literature will always find a way to dive into your soul and make you think about the life you lead and the choices you make. And so far? I'm okay with everything. I really enjoy a lot of Eliot's poetry, and was blown away by "The Waste Land" when I read it a year or two ago. 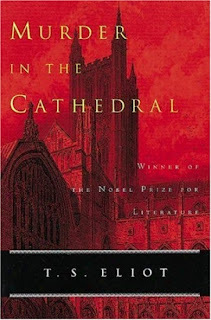 I have been meaning to read Murder in the Cathedral since I received it from my Blogger Secret Santa in December, and I finally got the opportunity a week or so ago. I'm not sure what I was expecting. 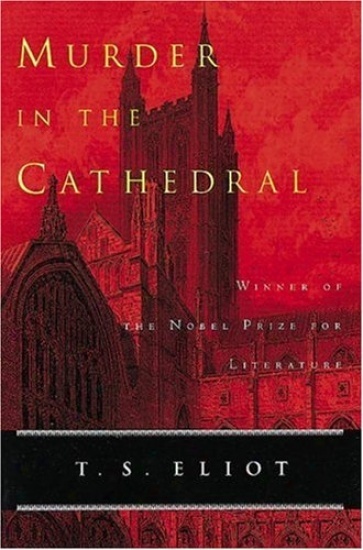 I knew that Murder in the Cathedral was a play, but I didn't know what it was about. It actually took me two reads to get a general idea of what the play was even talking about. Basically, the play is focused on Archbishop Thomas Becket, and focuses on his decisions and actions right before he is murdered and becomes a martyr. There is obviously a lot more history to it than that, which I am not 100% confident in discussing (it would make me sound like an idiot, trying to piece it all together). In the first part of the play, Becket is determining which stance to take-to stay true to his own beliefs even if he knows he may pay for it, or to do what others want him to and sacrifice his own good faith in himself. The first half is his mutterings, as well as the temptations by his tempters-those who wish for him to make the decision other than what he is comfortable with. The second part is of his death. Four knights come to murder him. They all give big long speeches on why, and the event takes place off the page. In the midst of these two chunks the chorus speaks...and tells the audience to "stay awake" among other things. The whole thing was a little confusing, the language heavy, and I was left completely unsure of what was going on. Thus, the second read. It started to make a little more sense, and I pulled out some other pieces to put together what I've just shared with you. I was really intrigued by the lines I shared above-the whole idea of standing up for what is right when you know that bad things will happen to you if you do. I think we have all thought of making that kind of stance at some point in our lives-sticking up for what is right in light of being the only one on that side. Or, of only doing the right thing, but to make some kind of gain in the process. I always wonder about the choices I would make if I were to be in that position. I hope I would make the right and honest choice, but you never know what will happen in times of stress, you know? Anyway, this is another of those plays that I think I would understand more seeing it performed. Perhaps sometime in the future I'll have that opportunity. Top Ten Tuesday: Top Ten Favorite Quotes From Books. It is Top Ten Tuesday, a weekly meme hosted by the lovely folks at The Broke and the Bookish. Every week, bloggers count down their top ten in the week's given category. This week's topic is top ten favorite quotes from books. To be honest, I think this is an incredibly difficult topic since there are SO MANY quotes that I love. I decided to pick quotes solely from books off my list to make things a little easier. Here I go! (these are in no particular order). Let me know what some of your favorite quotes are! "'It's like this, Naomi,' he said, settling down next to me. He was unshaven and wore a tattered sweatshirt. There was some chocolate smudged just outside his mouth, and his eyes were bright with excitement. 'It can be dangerous to look forward too much, to think always of what should be instead of accepting what is'" (30). I rarely accept books for review, but when I was offered a copy of An Uncommon Education by Elizabeth Percer, I was intrigued by the synopsis. I love the idea of coming-of-age stories. And I love that they aren't just limited to certain time periods in our lives, but across our entire life. Because really, I'm coming of age throughout my entire life, right? In any case, I was anxious to get to this one, and I picked it off my pile as soon as I could. I wasn't disappointed. Naomi is the only child to two parents that struggle with their own identities and relationships. Her father is a loving a caring man, taking Naomi with him on trips as often as he can, allowing her the freedom to choose her future, and being a support to her whenever he needs to be. Naomi's mother is a little more distant from her daughter. She battles chronic depression and her role as a wife and mother. She converted to Judaism and seems isolated from the person she once was. Naomi grows up in a house where her mental capabilities are cherished and with the loving support of her parents, she is allowed the opportunity to do whatever it is she wishes to. She is gifted and talented and after her father has a heart attack, her deepest wish is to be a doctor, so that she can take care of him in the future. She eventually finds her way to Wellesley College, where after being isolated for a year, she joins the Shakes, a society for women like herself. It is only after she is a part of their group that she begins to learn who she is and what she is made of. She slowly goes through this transformation while at school, and as life events begin to spiral away from her, she learns who she really is and what really matters. Naomi was a character I was drawn to. She was so isolated in her childhood. She focused so completely on her family, her friend Teddy, and the knowledge she gained from books. She has this intense focus from childhood on who she will become and what she is supposed to do with her life. Perhaps that is why I was so drawn to her. Like Naomi, I have been a bit one-sighted in my ambitions. Whereas she wanted to be a doctor, to help her father, I have always seen myself in education. And like Naomi, other opportunities have presented themselves to me, and perhaps my path isn't as clear as I would like it to be. Watching Naomi struggle with her identity and her chosen path just showed me that even though you may want something, even though you may think something is what you want to become, it may not be what you need. One of the biggest things I have learned in my struggle is that there is a large difference between wanting and needing. Sometimes there are things out of reach...and for a purpose. We can't control that, and while we might fight it, we shouldn't. I was touched by the simple beauty of Percer's writing. She drew me in slowly, showed me who Naomi was, and allowed me to acknowledge who Naomi was supposed to become. So when Naomi disintegrates, because she doesn't know who she really is, I sometimes wanted to yell at her and say, "Why are you screwing this all up?" But, by the end, everything was at it should be, and Naomi seemed to have found peace with who she really was and what she was meant to be. Her story was an inspiring journey, and one that moved me immensely. It was a lovely book, and I am so glad I had the opportunity to read it when I did. I've said it before-books have a time and a place, and sometimes, they just strike you in the right moment when you need them most. *I received this book for review from HarperCollins. I only have time for a quick update this week (this will probably be my shortest update ever). I'm in a really good reading kick, and I owe that to having a day off on Friday to relax and read. It has been super comforting to dive into some really good stories and escape for awhile. 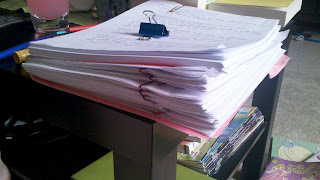 I am gearing up for the end of the year and collected my last set of full essays on Thursday (we have some smaller writing assignments coming up). I have huge piles of papers to grade today, so I am going to have a gradeathon on my couch with pots of hot tea, my heating pad, and too many episodes of "The Office." Yep, should be a good time. 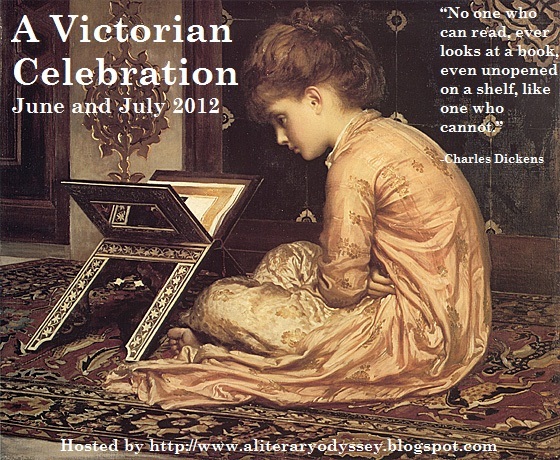 I've already had a lot of people sign up for my Victorian Celebration taking place this June and July. If you still want to join in, there is plenty of time to state your intentions! Just click on that link and it'll take you to the sign-up post. The event is going to start in about a month, and I could not be more excited. I have lots of great things planned, and some fun events for during the event. 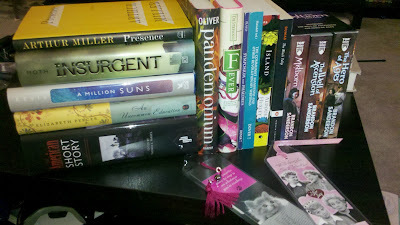 Anyway, to kick off the excitement, I have some prizes for those of you who signed up early! Originally I was going to give away 1 book, but I have 3 lucky winners. If your name is below, congratulations! You'll see an e-mail in your inbox in the very near future with the information needed so I can send your book on its way. Thank you all for signing up! Keep spreading the word about the event, and get SUPER excited about June and July! I know I am! 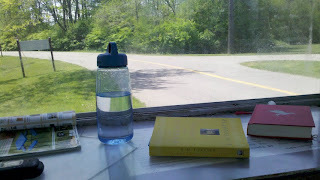 I was planning on posting a little earlier today, but I decided on finishing my book before coming to the blog. Two things that I will most definitely be doing today is changing up the blog theme and updating some of the pages. I am sick of the green and want something cleaner...so if you pop in...or randomly stumble over here and see that it is drastically different, that's why. We'll see how the whole process goes...since I know what I want it to look like...I just need to carry it out right. I figured it was time to pop in with a little update before Matt gets home from work and I settle in for the night. I didn't get as much reading in as I wanted to this afternoon, but I'm okay with that. I managed to change over the look of the blog (not sure if I am 100% happy with it) and started working on a few of the "upkeep" aspects of it. I still have some maintenance things to do, but they can wait for another time. While I didn't read all that much (I watched a movie this afternoon), I did manage to read all of Antigone by Sophocles like I wanted to. I also started Oedious Rex (Oedipus the King) a few moments ago. I also read a few pages of Nicholas Nickleby, which I haven't read since later February. I forgot a few little things, but it all came back to me. I have been craving one of those days where I can devote the entire day to just laying around with good books and cuddly cats. I had planned on having the 24-hour readathon as my day to do that, but with starting my second job at the park, it just didn't happen. And, since I have been so busy between two jobs, reading time is something hard to come by. When it does come, I treasure it. You can see where this is headed, right? I might only get through one of those things, but having the ability to stay in bed if I want to and read to my heart's delight? Gets me all worked up and excited.